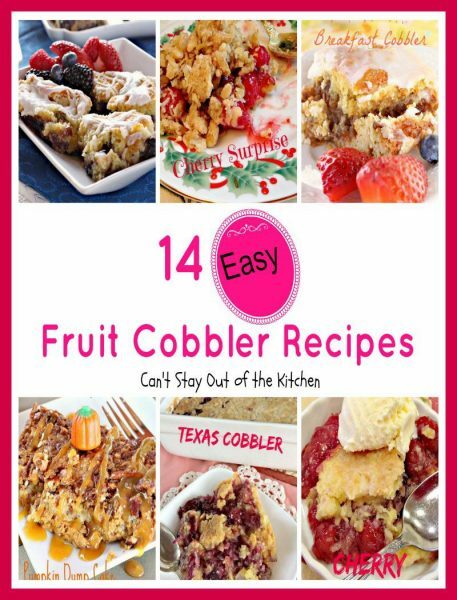 14 Fruit Cobbler Recipes is an amazing collection of cobblers. We really enjoy cobbler-type desserts. My husband especially loves cobblers because they have a lot of fruit and they’re not dry like cakes tend to be. They’re a lot easier to make then pies, usually only taking about 10-15 minutes to assemble. Most of these cobblers and crisps can be made with any kind of pie filling you like. I recently spent some time cooking for a group for our church for a week as we were involved in a mission trip to a Navaho reservation in northern Arizona. I made about five of these recipes while gone. I chose cobblers because they only take about 10 minutes each to prepare and, quite frankly, the teenagers and adults both really loved them. They were cleaned out even more quickly than my fluffy desserts or cookies and brownies which really amazed me. I figured the cookies would go first, but no, these cobblers and crisps were what they gorged on. This lovely cobbler includes both apples and cranberries. 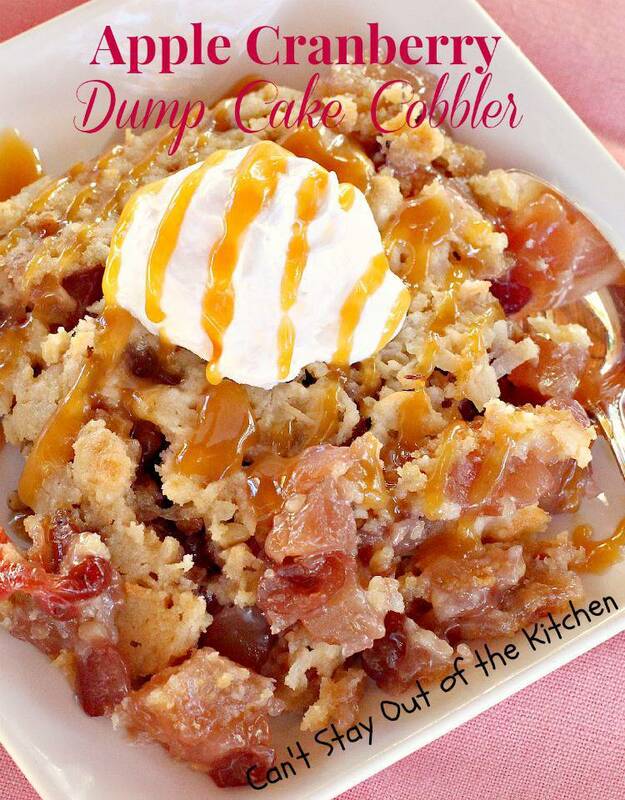 While this is a breakfast cobbler, you can also serve it for dessert! We serve Apple Crisp for both breakfast and dinner! 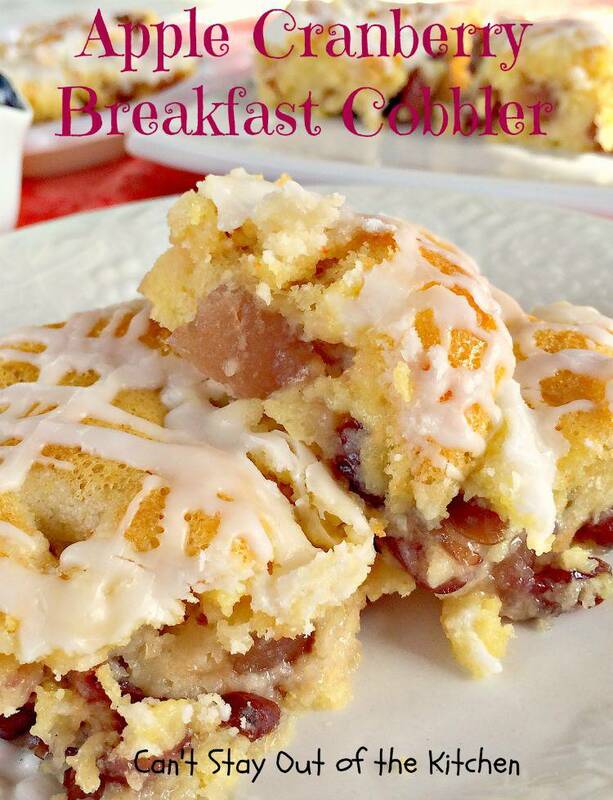 Fabulous breakfast cobbler using blueberry pie filling. The original breakfast cobbler recipe uses cherry pie filling. 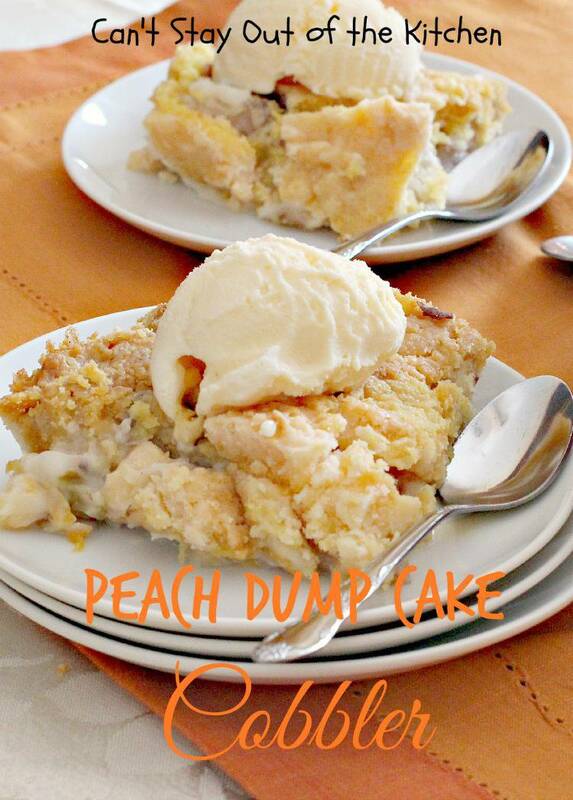 Quick and easy dump cake uses cherry pie filling, crushed pineapple, coconut and nuts along with a dry cake mix. 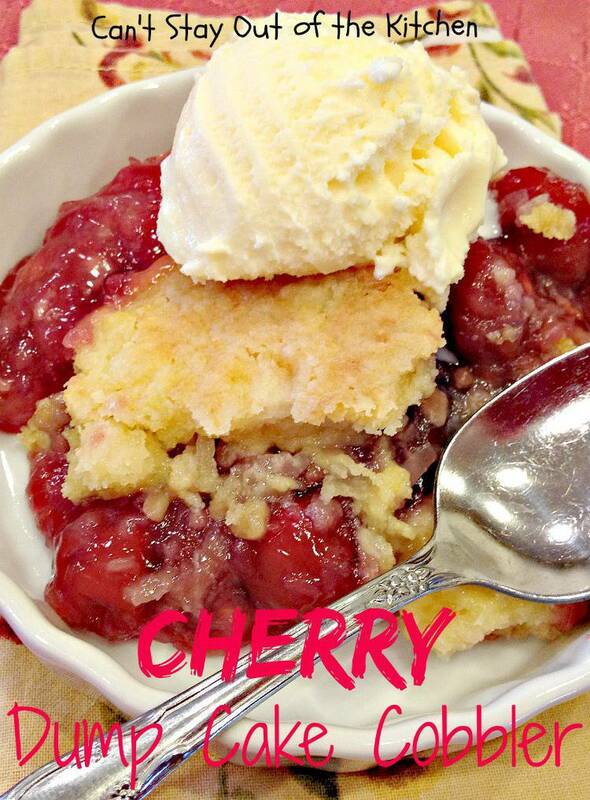 Spectacular cherry crisp-type dessert with cherry pie filling, coconut, and nuts in a streusel crust and topping. This is a great recipe to use up fresh peaches. This recipe is both gluten free and vegan. Loads of fresh strawberries are in this fabulous breakfast cobbler. This tasty cobbler recipe uses peach pie filling. While I used peaches and cream pie filling, regular peach pie filling works just as well. I’ve also made this with fresh peaches. We loved the way this amazing pumpkin recipe turned out. It’s great for holiday breakfasts or dinners. Sensational dump cake recipe with pumpkin filling and pecans, and Heath English Toffee Bits on top. Yummy! This fantastic cobbler recipe uses both cherry and blueberry pie fillings, crushed pineapple, coconut, almonds and a dry cake mix.